Extend the life of key mechanical equipment. Brandt helps you proactively manage HVAC and building systems to enhance performance, minimize downtime and reduce operating costs. 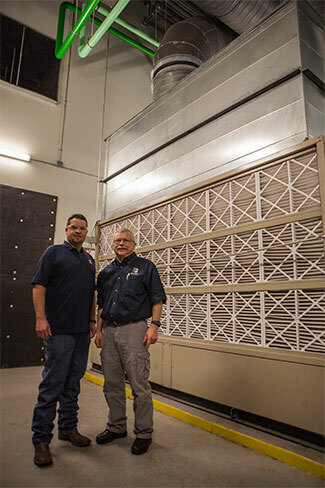 We tailor our HVAC service to meet the unique needs of every customer and environment. Our experienced team of supervisors and service technicians work together to provide the best solution whether you need ongoing maintenance, HVAC system repairs, chiller overhauls, boiler tuning or more. The health of your mechanical systems directly impacts the profitability and productivity of your building. That’s why we offer a single point of contact with factory-trained HVAC service technicians for all equipment manufacturers, bringing knowledge, safety and experience to every service engagement. Other providers may look at each individual piece of equipment as discrete parts, but because we are focused on your overall mechanical system performance, we understand the impact and interaction of how complex building systems work together. Our teams offer customized service designed for your unique needs and requirements. We help you extend equipment life, reduce downtime and maintain efficiency on all of your mechanical systems. Quality services also prevent unexpected breakdowns, helping you save even more in the future.